Chiarillo’s has a team of plumbing experts who perform installation and repair services in West Hartford. We have had more than 30 years of meeting people’s hot and cold water needs. We have professional integrity and will tell you, for example, if we suspect that you’re not getting water out of your faucet due to a water main break under a road and not some problem in your home. When there is a real problem in your house, office building or manufacturing plant, we will do the troubleshooting and get the problem fixed as soon as possible. We also help other contractors with designing and installing plumbing for new homes and commercial buildings. That means no job is too big or too small. We fix problems in existing kitchens and bathrooms. We install pipes, sinks and toilets in new buildings and additions. We’re the company to call when you want to hook up your hot tub or new washing machine. 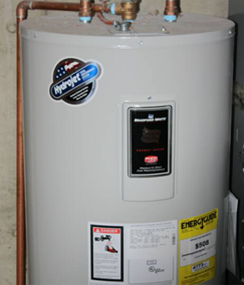 Having hot water is important at home and work all year long, so we have gained a lot of experience in installing and servicing water heaters and boilers.